Beadiste: Puzzling Evidence - Cloisonne Belt Buckles - And Dragons! 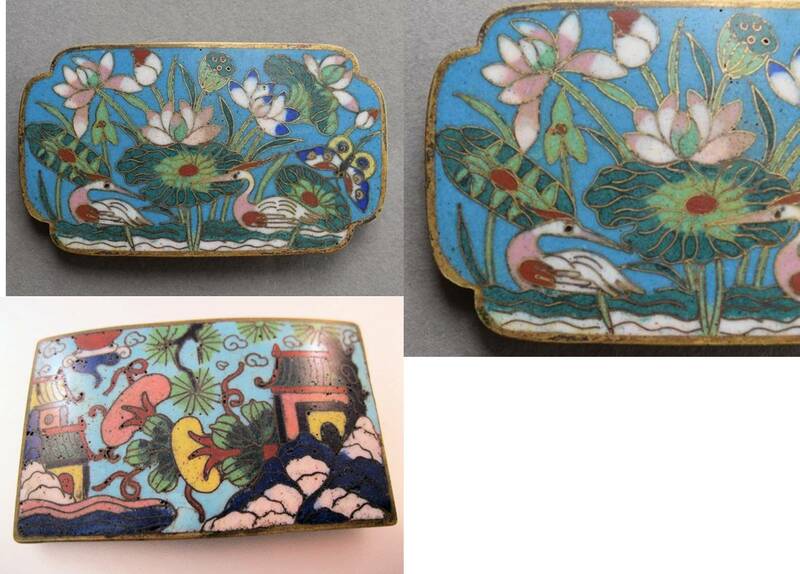 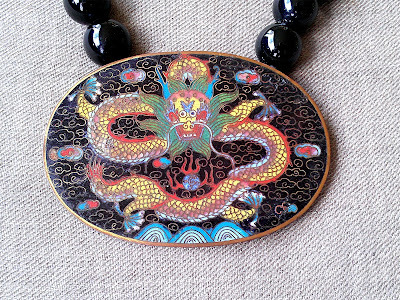 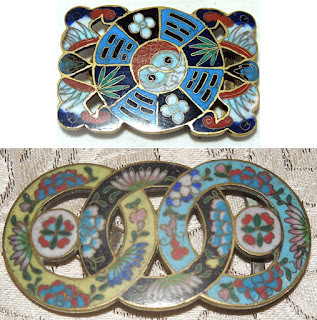 Puzzling Evidence - Cloisonne Belt Buckles - And Dragons! 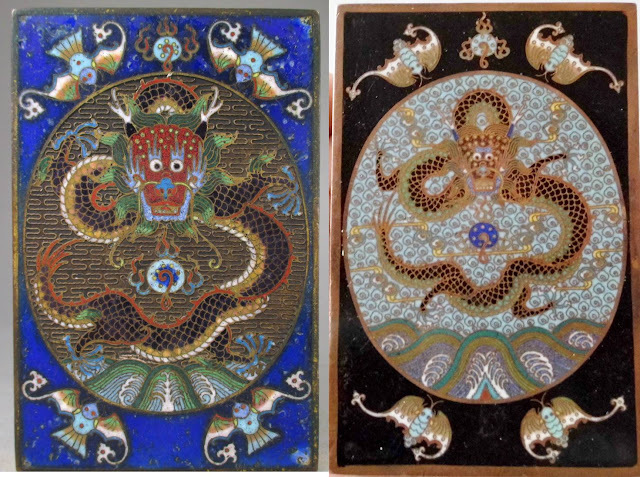 Design of the dragon and cloud diaper seem to place it in the early decades of the 20th century, 1900-1930s. 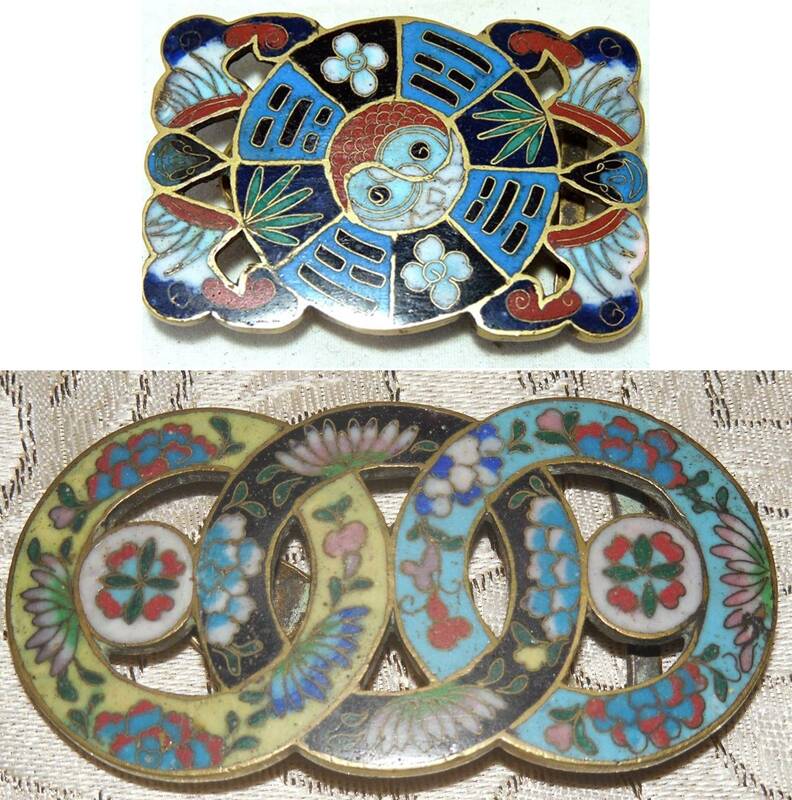 Deco era designs that also appear on vases, smoking sets. 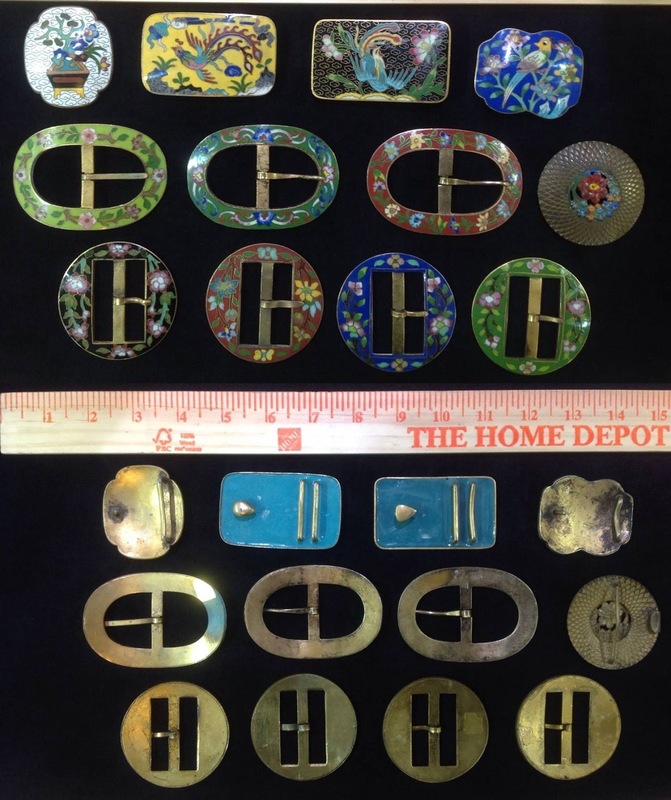 Buckles likely from around the 1970s? Buckles likely dating from around or after the 1970s, evidenced by the JingFa coud diaper on two of them. 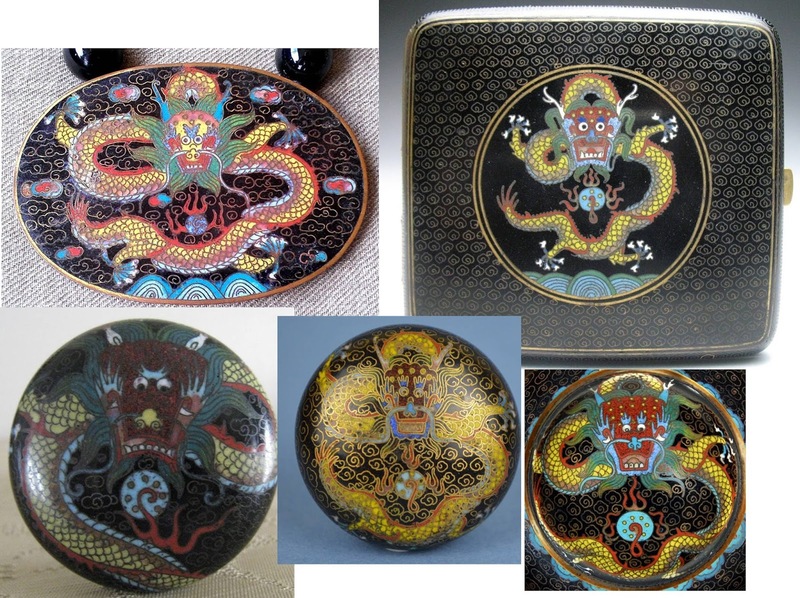 A comparison of the dragon iconography in the buckle with that in much larger plates, likely late 19th-early 20th century? 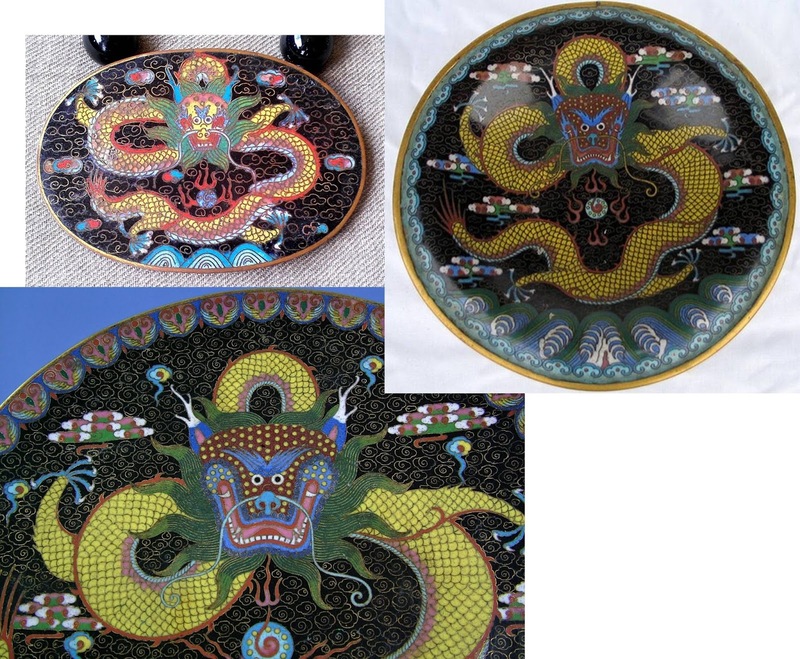 Dragons with Lao Tian Li signature at left, similar teacup plate on right. 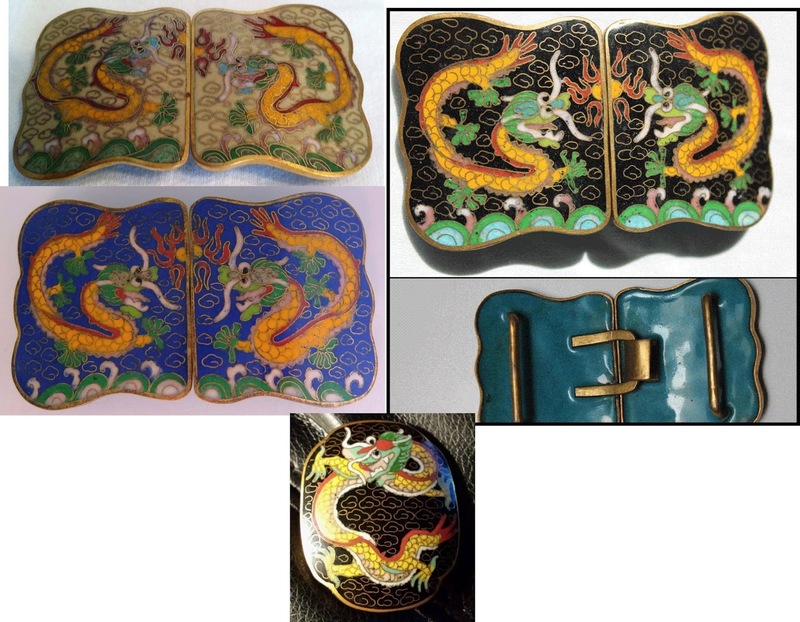 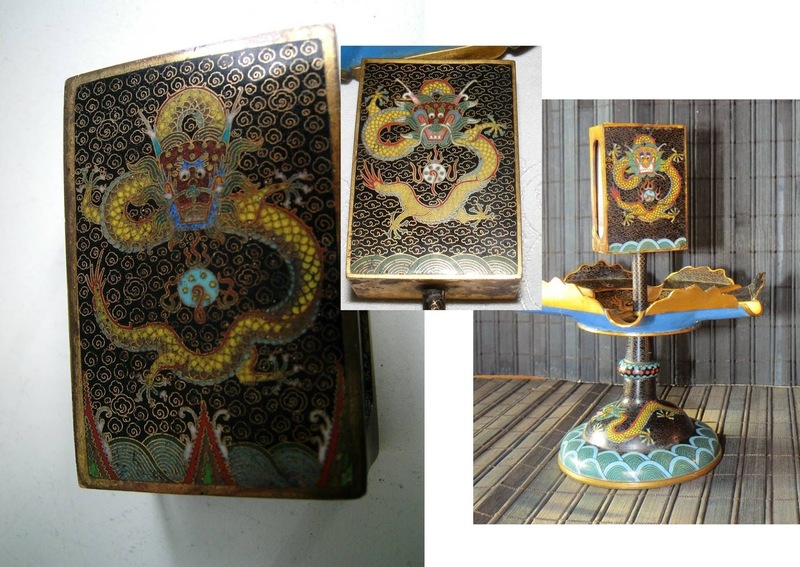 Belt buckle compared with small dragon medallion on a cigarette case; second row features two dragons from walking stick handles, and the top of an inkwell lid. 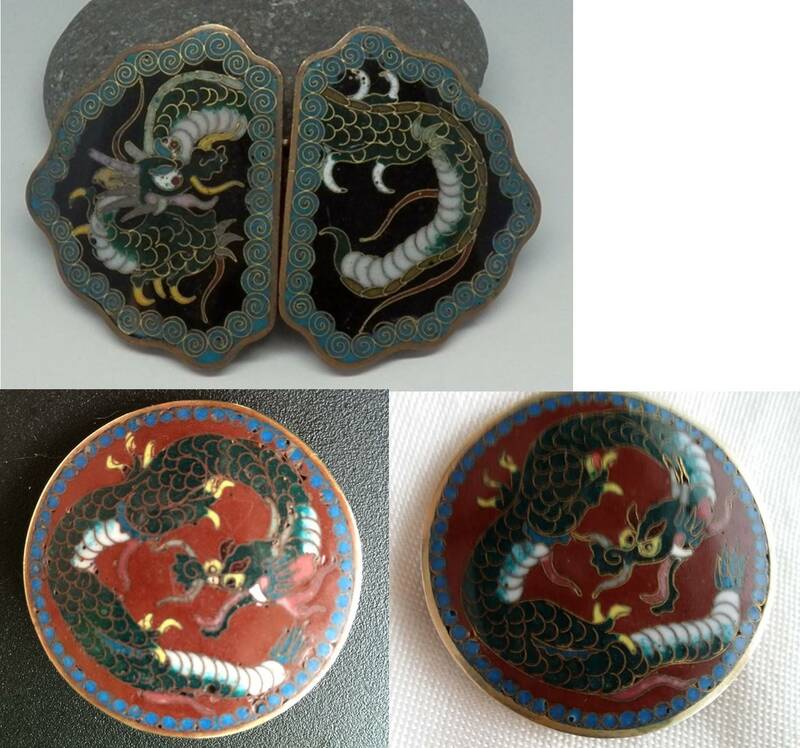 Dragons with fine detail on small matchbox holders, likely 1910s-1920s.